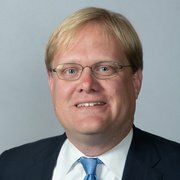 Keith Olson joined the Council on Foreign Relations in 2012 as EVP and CFO with responsibilities for CFR’s financial management, risk management, IT, and digital operations. Prior to joining CFR, he spent eight years with the Bill & Melinda Gates Foundation, after beginning his career in corporate finance. He holds an MBA from Duke University’s Fuqua School of Business and BS degrees in economics and industrial management from Purdue University. Published by the Council on Foreign Relations since 1922, just a year after the organization’s founding, Foreign Affairs has long been America’s leading forum for serious discussion of foreign policy and international affairs.